Another fabulous guest post from Zara. As many of you will recall I published a guest post from Zara on May 29th under the title of Please, always adopt a dog first! It had an incredible number of viewings and many, many lovely comments. All of which I fed back to Zara. So what a thrill to have another article from Zara. Trust me, you will love it! Taking a day trip is an adventure for both you and your pet. So while you are planning where to go and what to bring on the trip, you have to think about your dog’s needs as well. You can’t just grab your car keys and leash if you want to stay for a whole day. In order for your dog to be happy, safe and healthy, you need a special dog-day trip-bag where you can put everything your pet needs. Take a look at these essentials for a day trip with your dog. Your dog will love to run in nature, but it can be more entertaining for them if you bring their toys on the trip. When dogs get nervous, familiar smells and chew toys can calm them down. This will help you keep your puppy busy while you’re on the go, so bring your dog’s favourite toy and let it enjoy the day. Whether you’re going to the beach, a restaurant or on an afternoon hike, you should always have a water bowl in your bag. Maybe your dog is used to drinking water from your hometown so you will need a bottle of cold water and the bowl that the dog uses. You should consider putting the bottle in a lunch cooler if it’s too hot outside. Make sure that you bring food that doesn’t upset your dog’s stomach. Thus, give your pet high-quality food that is easy to prepare. With this in mind, you should bring dry puppy food on the trip because it’s easy to store, and a large plastic bin will keep the food fresh and safe from insects and rodents. Moreover, some dry foods are specially formulated and shaped to clean the teeth as the dog chews them. It’s definitely more practical than canned dog food. A foreign territory brings unique smells that are so hard to resist, so you should definitely bring a comfortable harness for your puppy. It’s easier to grab the dog if it tries to run far away from you and you will be sure that the dog is safe if leashed. Also, don’t forget the poop bags, as you will definitely need them! Yes, seat belts for pets exist! And they are very useful for two reasons – your dog won’t be running around the car, and you won’t be distracted while driving. Whether your dog rides in a crate, canine booster seat or in its harness, you will know that both you and your dog are safe and secured. Don’t let the dirt ruin your trip. You never know if it’s going to rain, or if your dog will jump into the river, so you will need an old towel for cleaning up. Next, you have to think about your car. Protect your seats with covers and blankets so that you can wash them if your dog brings the dirt into the car. The pup will be running all day so you can expect that to happen. To make sure your dog is more comfortable while at unfamiliar locations, you should consider bringing something that belongs to them. This is a way of making them feel at home but it will also protect the furniture. Your aim is to make sure that your dog stays calm and relaxed in new situations. In case your dog gets lost, you should always have up-to-date information on their ID tag. That way the person who finds them has all the necessary information such as your phone number, address, or information about the hotel where you’re staying. Imagine how much fun your dog will have in nature! Make sure that you have these memories captured and bring a camera with you so you can share these precious moments with your friends and family. Now you are prepared for an adventure with your dog. You can relax because you have thought of everything. Your dog will love these trips, so you can take a look at this list every time you travel with them and make sure that you’re prepared for every situation. Even the shortest day trip or weekend getaway can be memorable, so let the adventure begin. Perhaps I might add this to Zara’s most informative post. Namely that when you are safely back from your successful dog adventure you might consider writing it up as a guest post for this place. Adopting a dog is one of the noblest and most rewarding decisions you can make. With dog shelters filled to the brim with pooches in need of a loving home, there is really no reason to support the inhumane ways of the puppy mill industry; instead, welcoming a shelter dog into your family will save not one, but two lives. However, sometimes welcoming an adopted dog into your home can seem like a daunting task. How do you banish their fears of abandonment, their anxiety, and the instilled behavioral patterns that define them yet are unsuited for domesticated life? How do you truly make them feel at home, loved, and most importantly, safe? Here to answer these questions are the five tips that will make this transition as pleasant and rewarding as possible. First things first, there’s a lot to be done before your pooch actually arrives at what will be their new, loving home. You want to make sure you have covered all the basics, from deciding where the dog will sleep and eat, all the way to buying a sizable crate and all of the necessities your new furry friend might need. This includes getting in touch with a trusted veterinarian and making an appointment for the following day. You can never be too careful, no matter how trustworthy the shelter staff are. For the time being, you will want to roll up all of your carpets so that the dog gets used to walking around the house (they tend to stick to carpets when confronted by sleek surfaces), and don’t forget to buy a leash, plenty of toys, and most importantly, dog treats for those long training sessions ahead. One of the biggest mistakes new dog owners inadvertently make is letting their new companion explore the new surroundings freely the minute they bring them home. Although completely understandable and very nice of you to want to make your new dog feel welcome, this is a common mistake that will result in plenty of pee stains on the floor you’ll have to scrub out. Moreover, you might even frighten the pooch, so you want to let them familiarize themselves with the surroundings gradually. It’s always an excellent idea to buy a crate so that they can have their “safe space”, and explore the household one day at a time. Being adopted is a thrilling, wonderful, joyous experience for a dog, but it’s also a traumatic one. More often than not, your new pooch will come with some emotional baggage you will want to eliminate as soon as possible to avoid behavioral issues induced by anxiety, stress, and fear. It’s also never a bad idea to let a professional lend a helping hand. In Australia, for instance, dog training is sort of a must among homeowners. In the Land Down Under, adopting a dog is a serious matter involving thorough preparation and planning, and professional dog training in Sydney and across the country is readily available to all homeowners looking to instill positive habits in their new dog, and banish their fears. Remember, dogs ,above all, require firm but loving guidance in order to find their place in the pack, and feel like a part of the family. It often seems as if dogs haven’t the faintest idea what personal space is, as attested to by thousands of pet videos circling the web; but in fact, they do. And they cherish their personal space very much. Your new furry compadre needs time to heal, to reflect on their past experiences, and take in this new scenario they’re in. Needless to say, this is a stressful time for them and although they require plenty of time and attention, it’s important to recognize the moments when peace and quiet are all they need. Finally, this is not the time to be going through other important chapters in your life. This is the time you want to devote solely to the upbringing of your new pooch, so if you’re having personal issues you need to resolve, do it before you get a dog. Remember that they need your undivided attention and lots of it. You will be spending plenty of time quietly stroking their back to make them feel safe, playing with them to develop a trusting bond, and plenty of time teaching them to behave. This requires patience and positivity, so make sure you’re ready and willing to take on this beautiful responsibility. There is an ideal dog out there for you. And while a purebred dog would make an amazing lifelong companion as well, there is not quite a feeling as magnificent and rewarding as adopting a shelter dog. With these essential tips, you will have no problem making your new best friend feel right at home. Dogs! We love them to pieces but sometimes they do smell a tad! Zara Lewis has provided two previous guest posts for you good people and both of them were well received. Very well received! So here is Zara’s third. My intuition is that will similarly go down well with all you good people out there! The love and affection that you give your dog and that it gives back to you makes the whole relationship truly fulfilling. But it wouldn’t be lying if we said that taking care of a pet dog and keeping a clean and tidy home at the same time does requires quite a bit of effort and energy. Here are some of the most practical tips on how to confront your four-legged companion’s gift to create a mess. One of the most effective ways in which you can avoid finding your pooch’s hair in your soup, ears, sock drawers, or anywhere else in your home is to brush its coat on a daily basis, preferably somewhere outside. Besides keeping a neater appearance, you will prevent tons of hair piling up in the furthest, least accessible corners and areas of your rooms. Make sure your pet also gets a good bath whenever it needs to. The frequency depends on its coat—dogs with more oily coats may need a bath as often as once a week, while for others, it is usually no more than once a month. Whenever you and your pooch return from a walk, thoroughly wipe its paws with a damp towel or baby wipes. That way, no mud or dirt will be spread around, and maintaining the hygiene of the whole place will be even easier. Don’t let your precious one do its business wherever and whenever it feels like doing it. It may seem like something implied and silly to even mention, but some dog owners still do disregard this advice. Train your pooch to poop or pee outside, or only at specific places in your home if it’s left alone for a longer period of time—for example, in a litter box. Even when it does happen that he or she simply can’t control it, clean the mess right away. Ok, this one is somewhat obvious—keep your vacuum cleaner, duster, and mop close. No matter how much hair you manage to brush off your friend, some of it will inevitably sneak its way into your surroundings. Cleaning and dusting all the surfaces in your home will significantly reduce the amount of hair lying around, but also dander, dirt, and bacteria. Not only can the remains from your dog’s previous meals get stuck in there and start smelling pretty bad, dirty bowls and dishes can be a breeding ground for masses of bacteria. That is why you should wash them at least once a day to prevent any minor or major consequences. After all, you do it with your plates, don’t you? Same thing. Living with dogs, we quickly get used to their smell and stop noticing the unpleasant odor that they may occasionally leave behind. But your guests certainly notice. You can tackle this problem by airing all the rooms regularly, along with lighting scented candles or sticks, or using high-quality air fresheners. An even more effective solution than scented candles and sticks would be to equip yourself with an air purifier. If you’re looking for a top-notch product with more long-lasting benefits, turn to a mold air purifier by Oransi. It contains a HEPA filter which, besides removing the unpleasant odor, keeps the air even fresher, and gets rid of dust, dander, mold, and allergens floating round your room. A highly recommendable option for people with pets. If you have the luxury of living in a bigger house or apartment, set boundaries or determine the space where your pet can roam freely. For example, allow him or her to enjoy the first floor of the house, and make the second floor a ‘humans only’ area. Also, determine a specific space or object for them to sleep on, like a cushion or a cozy blanket that will always remain in the same spot. Lint removers are a really convenient way of keeping your furniture, as well as your clothes, hair and dander-free. It only takes a minute and requires minimal effort. Moreover, you can use them on any kind of textile. So, in case you haven’t got one, you might want to consider changing that. Remember that keeping a clean and odor-free home primarily means keeping you and your beloved pet healthy and happy. Let me repeat Zara’s opening sentence: “The love and affection that you give your dog and that it gives back to you makes the whole relationship truly fulfilling.” No question at all about that! But I would word it in a more gutsy manner ( and this is in no way a criticism of Zara) especially as the coming-home greeting that Jean and I had from our dogs just last Friday is still fresh in my mind. Pure unconditional love is very rare between humans as opposed to true love that, thankfully, is common. Our dogs offer us unconditional love. Pure, total, perfect unconditional love! 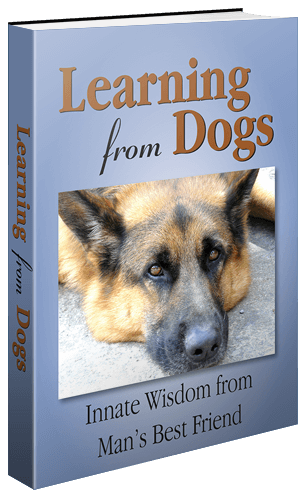 Real Learning from Dogs – for our Children! Another wonderful guest post from Zara Lewis. Back on March 13th, Zara published her first guest post in this place. It was called Dogs and allergies and was very well received by many if not most of you. So what a pleasure it was to receive a further email and material from Zara last Friday. Here it is for all you good people! It’s easy to confuse pure obedience with true responsibility, simply because the former serves as the stepping stone, while the latter is a mindset that takes years to build. We as parents make choices every day that affect how well this mindset develops in our kids, but one of the best, most seamless ways for them to succeed is by nurturing their relationship with your family doggo. With a four-legged friend by their side, kids tend to assume the role of a leader, a friend, and a caregiver with greater ease. Although it comes with its own set of parenting challenges, teaching your kids responsibility with your little fuzzy buddy is a rewarding experience that will enrich your kids’ childhood and help you be a better parent, as well! From regular vet check-ups, vaccines, feeding on a schedule, and taking them for walks every day, your kids will quickly realize that only a healthy dog will be a happy dog. I know that some kids will be eager to split their chocolate cake with their furry pal, but when you explain to them that such a diet can be very harmful, they will be much more careful when choosing the right dog food. When they’re young, they won’t perceive those walks and frisbee throws as exercise, but if they start embracing this lifestyle so early, they will be much more likely to stay active throughout their adulthood, too. No matter how in love your youngsters may be with their pet, they often don’t understand that dogs have moods, too. That means they won’t always be in the mood to be hugged, or that dogs won’t put up with having their tail pulled all the time. The sooner they understand to respect the needs and wants of their pets, your kids will appreciate the meaning of personal preferences even in life. They will learn how to recognize certain body language signals that they are about to cross a line and transfer that knowledge to their hooman friends as well. Just like that birthday cake is almost too irresistible not to be shared with your pooch, it’s no surprise that many kids want to take their dogs everywhere and share absolutely everything with them. My own little boy wanted to share his bed with our dog, Joey, and even though this is perfectly fine from time to time, making it into a habit wasn’t the best option for either of them. So, we got a Snooza bed for Joey and placed it in our son’s bedroom and explained that it’s best for each of them to have their own space, since they both grow very fast. Plus, once I told my son that the cleaning of his room will be much more difficult if his bed was filled with dog hair, he immediately changed his mind! Overburdening your kids with too many difficult chores is as bad as not giving them enough opportunities to be responsible. It’s best to discern how much your youngsters can handle depending on their age. For example, toddlers can tell you if their water bowl is empty or if they caught the little rascal in the potty act. Older kids can share the entire feeding, grooming, and walking routine with you, depending on their school responsibilities and other chores. In fact, older kids can even help you train the dog by teaching them various tricks, and playing sessions are beneficial both for your kids and the dog, as they’ll help them grow stronger, and build their bond over time. Sometimes the homework will pile up and perhaps the flu season will kick in, so you’ll feel the need to spare your kids the trouble of caring for your pet. Even though it’s perfectly fine to help them manage their chores and take over a portion until they are well enough, they shouldn’t suddenly let you take over for good. Moreover, encourage your kids to pitch in, no matter how little, with their birthday savings or their pocket money when buying dog food, or getting new chew toys. This is yet another way of sharing and learning to become more autonomous even financially with their pets. While we’re on the subject of sharing, some kids perceive their pooch as another toy at first, or even as a chore you’ve added to their “unwanted” list. This is especially common among very young kids, and it becomes essential for parents to help them cope with these responsibilities by gradually introducing new ones. Talk to them, see if they would actually like to take charge of a particular activity such as feeding or walking, while you share other responsibilities with them. Explain why these actions are important for keeping your pooch happy and healthy, and they will be much more likely to take on more responsibilities over time. Finally, don’t forget to be a true role model while your kids are still in the learning stages of caring for your family pet. They will make mistakes, but they should look up to you for better behavioral patterns, and it’s your duty to be the caregiver you’d want your kids to become for your pooch. You do know if Zara carries on like this I shall hang up my keyboard and just savour Zara’s writings! !